Unfortunately, during this season’s moss removal episode, the sprayer started leaking extensively from top of the pump while I was up using it at the top of a 32 foot ladder, resulting in me getting a vinegar bath before I could descend. 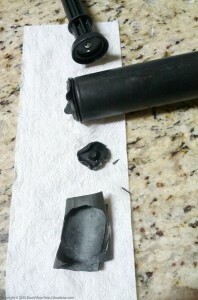 On disassembly and inspection, it was apparent that the 2 rubber seals on the pump shaft and pump had degraded and were no longer completely sealing. 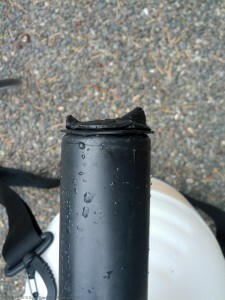 The pump was also slightly beyond its 2 year warranty (planned obsolescence? …) plus I needed a quick fix to get the job done. 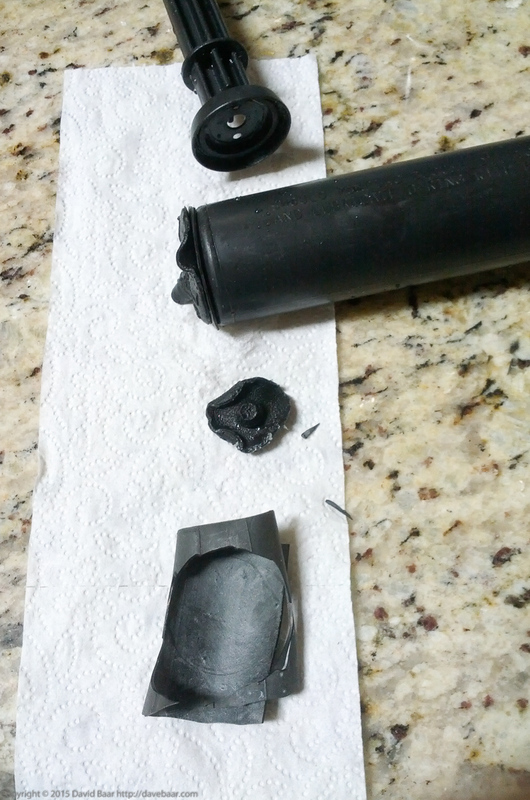 So, I cut two new seals from some old bicycle inner tube that I had saved -useful stuff for many household repairs. 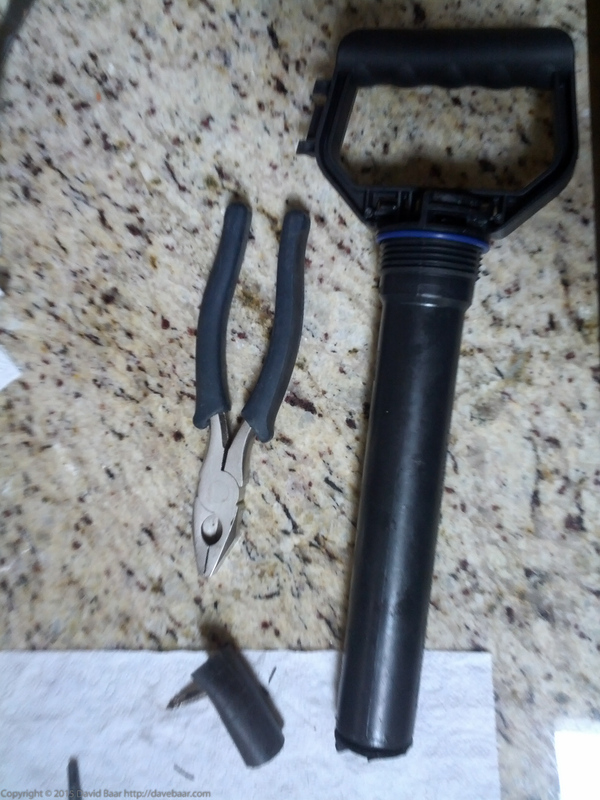 I traced circular patterns for the new seals on the inner tube rubber using the pump inner and outer shaft as guides, cut the new seals with scissors, and then poked small holes in the centre of the new seals with an awl. The holes allowed me to stretch the new seals over top of the centering cone-shaped trapping pieces on the old seals; basically the new material just then provides a new sealing surface with the old material backing it. I then pressed the old seals with the 2 new seals on top of them onto the appropriate places on the pump shaft and containing cylinder. 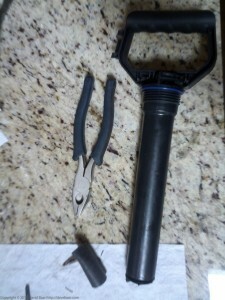 I then reassembled the pump, filled it with water, pumped it up, and tested it: success: no more leaks. 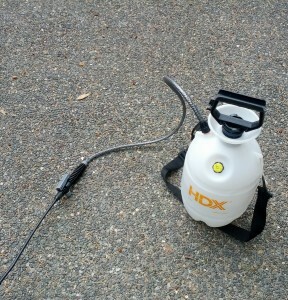 A successful improvised repair, at very low cost.